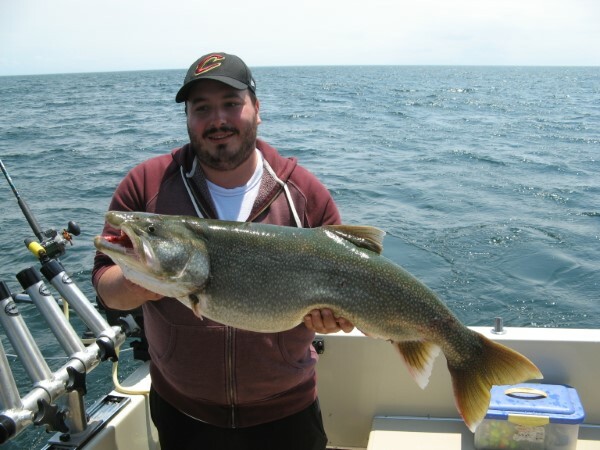 The May 27th fishing charter for the Patti Ulmen seemed full of surprises as the weather was predicted with rain and afternoon thunderstorms and the fishermen wanted to target Brown Trout. But because the water was so clear and only one small Brown Trout was taken, the plan was to switch to fishing for Lake Trout. 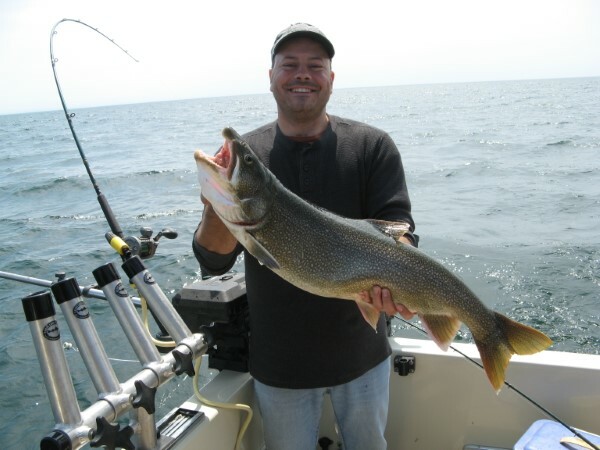 And, the Lake Trout cooperated! 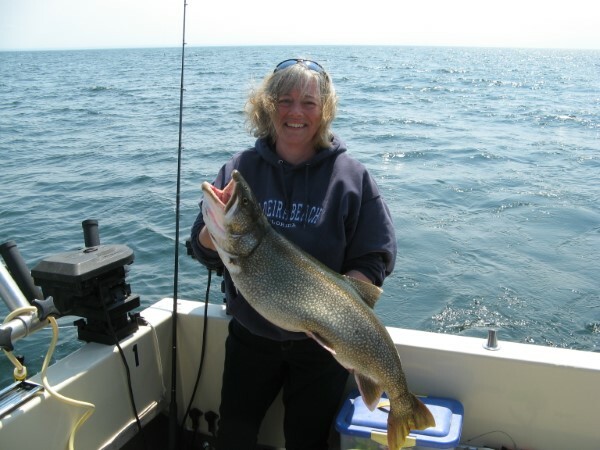 The party of five caught their limit of Lake Trout, including a 20 pounder caught by Adam and a not so shabby 18 1/2 lunker caught by Patti! Also, the weather cooperated as it turned out to be a gorgeous day on Lake Ontario with no rain or thunderstorms showing up. 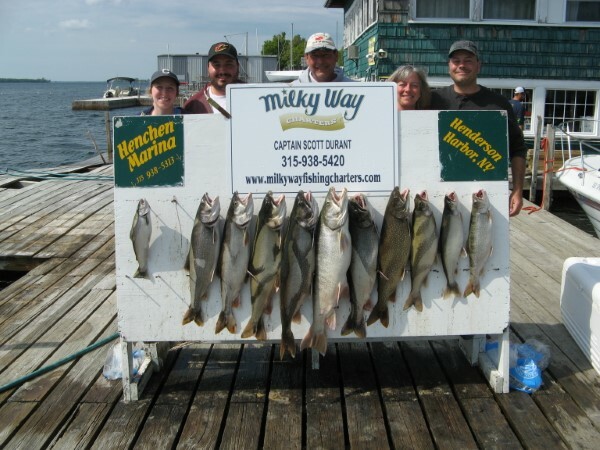 All in all, everything added up to a very enjoyable and successful day of fishing on Lake Ontario with Milky Way Fishing Charters.